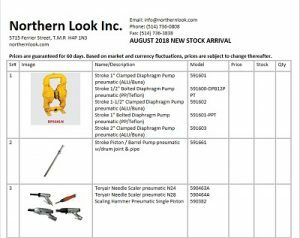 August stock arrival from Teryair | Northern Look Inc.
Our container from Teryair has finaly arrived. Have a look at our new inventory included in the PDF file. And much more. Please contact us for a quote today.